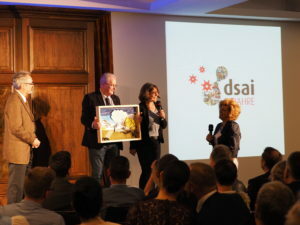 On April 23, 2016 the German Patient Organisation for Primary Immunodeficiencies, dsai, celebrated its 25th anniversary together with doctors, members, politicians and patrons. The event took place in Munich and started with a medical education event under the motto of World Primary Immunodeficiencies Week (WPIW). Doctors from the Munich area obtained information about PID, the warning signs, diagnosis, treatment and much more. 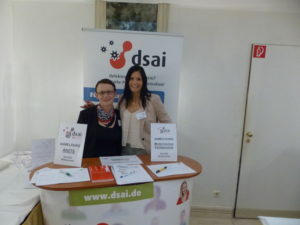 the Bavarian Government Commissioner for Patient Affairs honored Gabriele Gründl for her achievements with dsai. Gabriele is a mother of a PID patient and, in 1991, was one of the founders of the group. She has now served as chairwoman for 15 years. dsai patrons, magician André Sarrasani and actress Michaela Schaffrath, talked about their reasons for becoming involved with dsai and some of the activities and campaigns they have done and other they will join in the future. Prof Klaus Warnatz and Prof Hans-Hartmut Peter (CCI Freiburg) and Prof Bernd Belohradsky (Dr von Haunersches Kinderspital Munich) also took place in the celebration and gave very interesting presentations.